Since the establishment of Team 3003 in 2008, team Tan[x] from Canandaigua, NY has flourished. This year Tan[x] finished as runner up in two regional competitions. In March Tan[x] competed in the Buckeye Regional games in Cleveland where our alliance finished as runner up in the finals. At the Finger Lakes Regional games 2019 Tan[x] won the prestigious FIRST Quality Award for their robot, won regional runner up, and qualified for the 2019 National Championship in Detroit. During the 2017 - 2018 seasons, Tan[x] partnered up with Midlakes school district to further expand the team and expose more kids to FIRST Robotics. During the Ultimate Ascent challenge in 2013, the team went on to win the Finger Lakes Regional game at Rochester's Institute of Technology. In that year, Tan[x] won several awards including the 2013 Industrial Design Award! 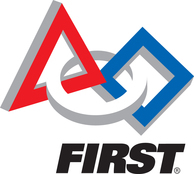 We have participated in many events like the Finger Lakes Regional, Buckeye Regional, Tech Valley Regional, and the FIRST National Championship. Find out what it is like to be in FIRST at Canandaigua Schools. Build Science, Engineering and Technology skills while constructing robots.